Even if you are a computer geek who never sees the light of day, you should still be aware of what the weather in your area is doing. 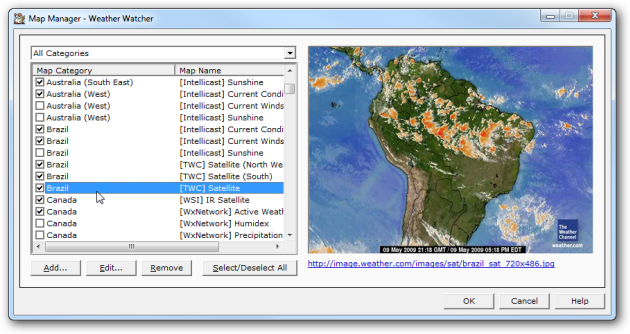 Today we will look at Weather Watcher, a free customizable desktop weather station program that allows you to keep up with current conditions in real-time. Installation is quick and easy following the installation wizard. 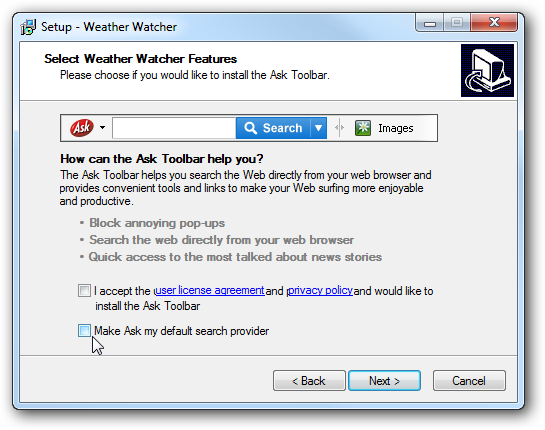 One thing to point out is to uncheck the Ask Toolbar install if you don’t care for it. Also make sure to uncheck Ask.com as your default search provider if you already have a favorite. 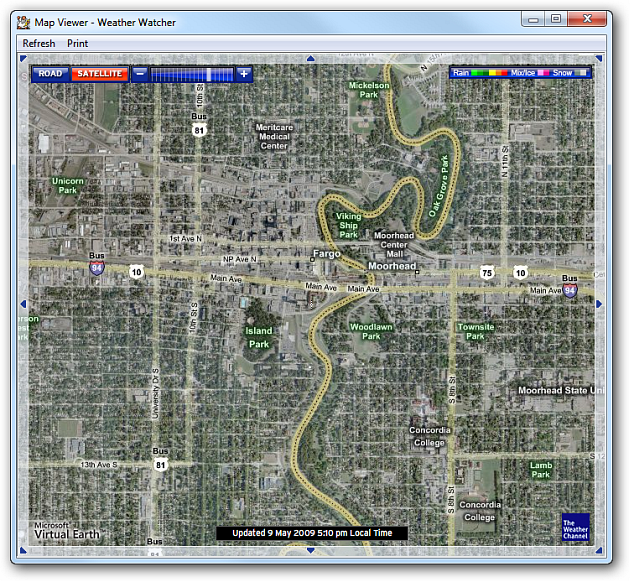 The first time you launch Weather Watcher after the installation you will be prompted to go in and setup options. The main thing we sat up right away was a location to start getting current conditions, which is under the Active City tab. Here you can enter in what locations you want to keep track of, either by city name or zip code. 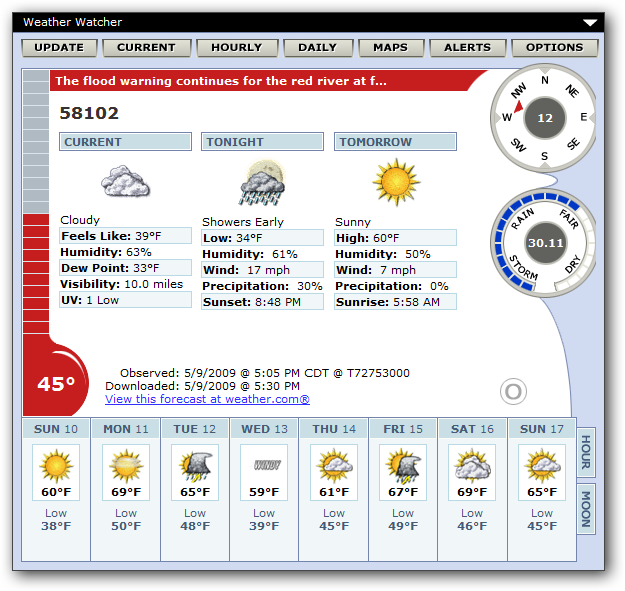 The main interface is pleasantly laid out, is skinnable, and controls are easy to use. 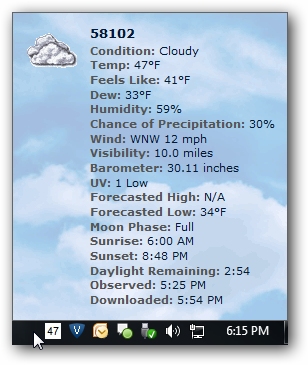 Hover over the Weather Watcher Taskbar icon which you can set to show the current temperature to get an overview of current conditions. 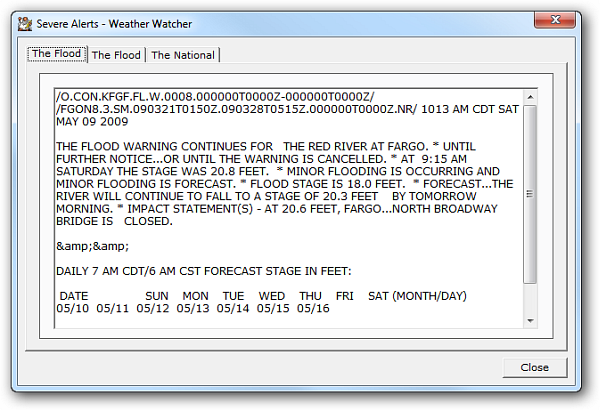 You can also set up severe weather alerts. 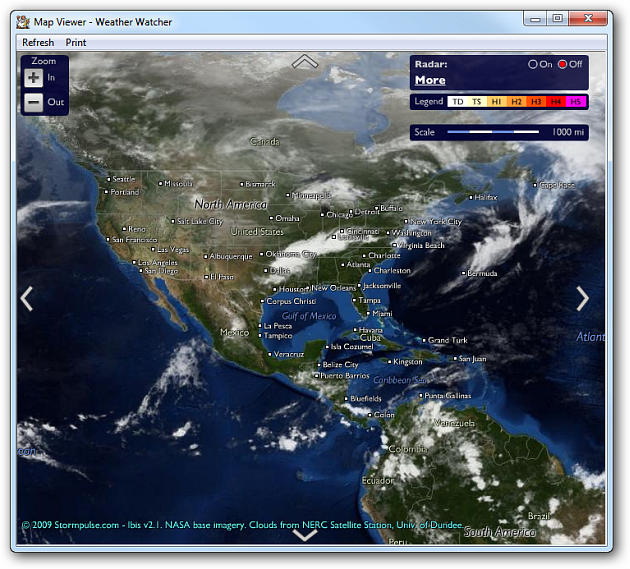 They offer various other world view weather maps you can view such as this one powered by NASA imagery. There is also the ability to add other types of world maps you might be interested in such as wind streams, humidity, rainfall totals, etc. 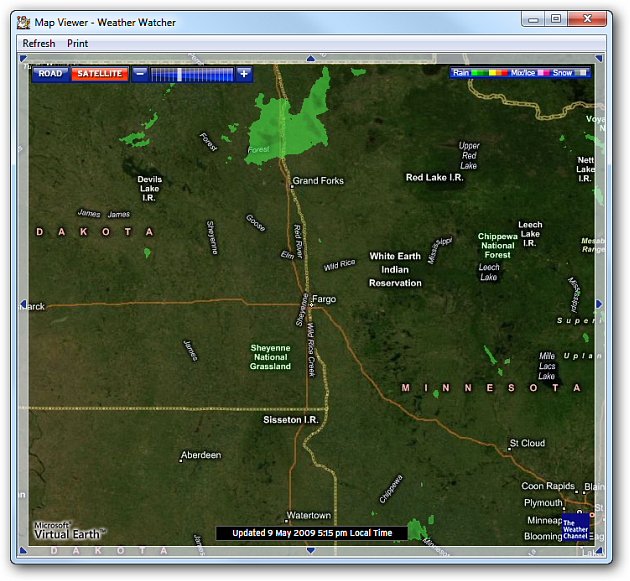 Another great feature is checking out the regional or national radar which is powered by Microsoft Virtual Earth and The Weather Channel. Being powered by Microsoft Virtual Earth allows you to zoom in to specific areas for a detailed view. If you are a “weathergeek” or just a geek who wants to know if the sun is shining outside your dungeon, Weather Watcher is an excellent free application to have. 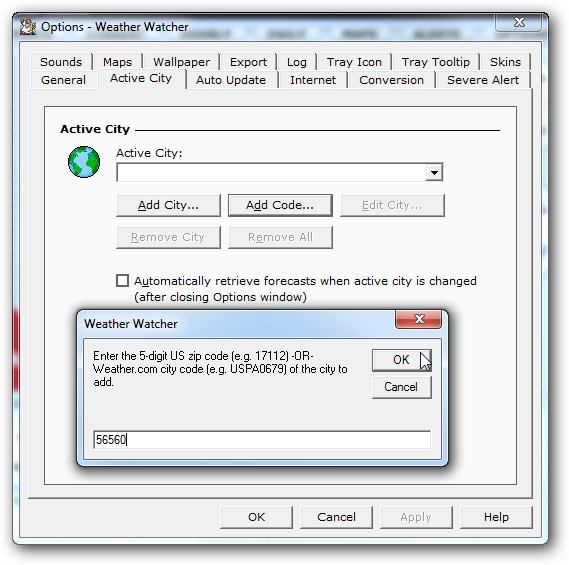 Weather Watcher works on versions of Windows from 98 – Windows 7.